To the outside observer, the idea of a bunch of adults huddled around a kitchen table making notations on legal pads, rolling colorful dice, and speaking straight-faced about elvish cloaks, magic spells, and giant spiders might seem a little bit silly. To the inside observer, however, it’s extremely silly. But it can also be a lot of fun, not to mention a great opportunity for misfits to bond with one another. Like poker night for more thoughtful game players. 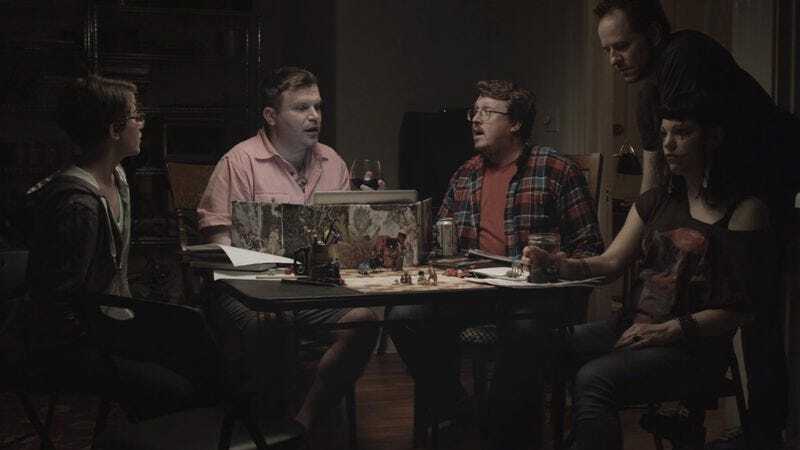 It seems like a safe bet that Sadie Rogers—the writer, director, and co-star of this short film—has sat through her share of Dungeons & Dragons campaigns. Everything about the short, titled RPG, feels real, right down to the unnecessary makeup worn by Rogers’ character Wulfgar. It’s not a cartoony or mocking representation of stereotypical nerds engaging in a stereotypical nerd pastime. This—or something very close to it—is happening in a thousand different apartments around the world on any given night.